The past year has witnessed a high-profile disagreement between Moscow and Washington over the civil war in Syria and the broader direction of political change in the Arab world. Some Russians have even revealed a degree of schadenfreude over the latest anti-U.S. violence in Libya, where Russian President Vladimir Putin likened last year’s NATO intervention to a medieval crusade. 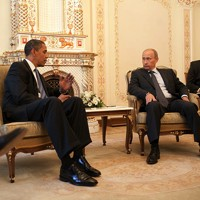 But though Washington and Moscow differ on rhetoric and tactics, when it comes to core U.S. interests in the Middle East, such as managing the rise of political Islam, constraining Iran’s nuclear program and ensuring the welfare of the state of Israel, there is more convergence than disagreement between the former Cold War rivals.